L.J. 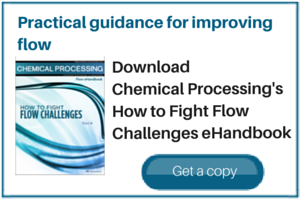 Star’s new 13-page engineering handbook covers the selection and application of sight flow indicators in chemical and pharmaceutical applications. There are many types of sight flow indicators, and the choice of which type is best for a particular application and process system is discussed in detail. A handy reference for experienced engineers and a useful guide for those new to sight flow indicators, it offers a full overview of sight flow indicators, covering design, materials, types of indication, types of glass, accessories, plus installation and maintenance tips.